If you thought that the excitement of the U.S. Sprint Grand Prix was something else, you are going to love what’s coming up at Mammoth Mountain Ski Resort in February 2014. The U.S. Snowboard and Freeski Association holds the Unbound Series each year. It includes a group of freeski and snowboarding events. Among them are the slopestyle, boardercross, halfpipe, skiercross, slalom and GS. There’s also a popular series of rail jams. The series’ participants have a chance to show off their skills, win medals and potentially qualify for the USASA Nationals. As you can well imagine, the events attract young and old winter athletes from around the nation. Some come to watch and cheer on their favorite snowboarder or freeskier. Others come to participate in the various competitions as well as the raffle and swag giveaways. This February, Mammoth Mountain Ski Resort will be hosting Unbound Series’ events on five nonconsecutive days. The first event is slated to kickoff on the 1st. The subsequent competitions will be held on the 8th, 9th and 23rd. We should also mention that an additional series event is planned for March 8th. Those interested in competing should contact the USASA directly for sign-up information. 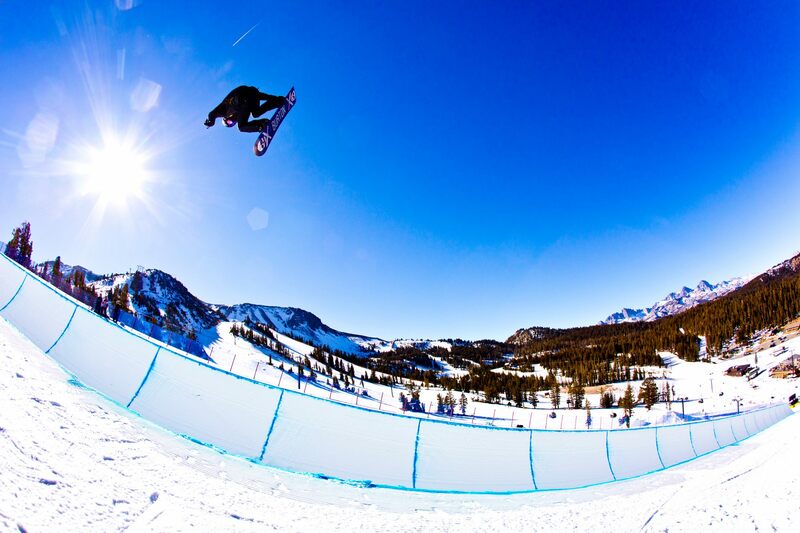 Members of the 2013-2014 USASA Snowboard and Ski Teams are likely to be at Mammoth Mountain during the events. So visitors may get to rub ski or snowboard wax with celebrities too. The list of team members includes talented stars like Ethan Swadburg, Tania Prymak, Maggie Rose Carrigan and Ryan Stassel. Snowboard fans and Mammoth Mountain regulars alike may remember Ryan Stassel from last season. It was then that he placed 7th in the Mammoth Grand Prix. He’s a regular footer who traded in the winters of Alaska for a place in Truckee. The Unbound Series isn’t the only ski and snowboarding event set to take place at Mammoth Mountain Ski Resort in February 2014 either. There’s also the renowned Korfiatis Kup, Stacey Cook Challenge, SCCSC races, FWRA GS, Brownlie’s Bullet and more. To learn more about the events and how you can enjoy Mammoth Mountain year round, please contact us at (855) GO-MAGGIE. We’d also like to encourage everyone to share their thoughts on the upcoming competitions with us and “Like” our Facebook page.